I’ve really been enjoying the fall colors here in Durango, Colorado. 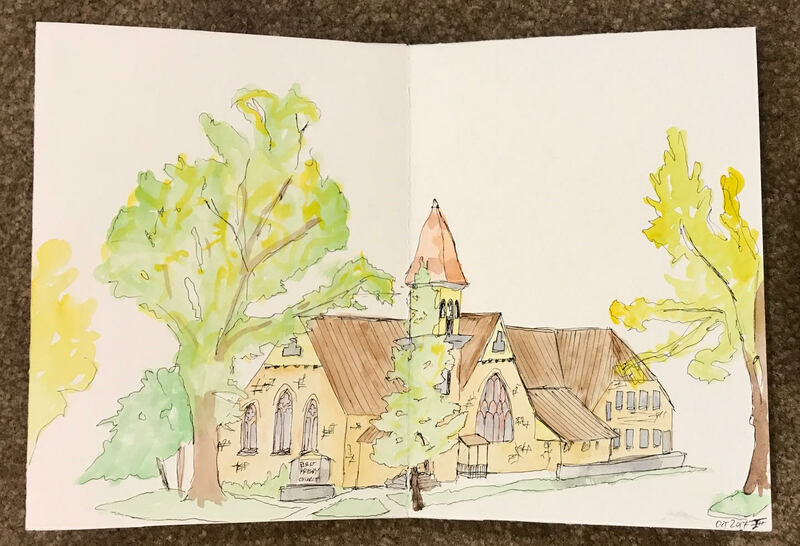 Trying to make the most of it, I’ve been going out on my lunch break and quickly sketching scenes from around town in ink and watercolor. It’s been nice to have a good-quality, heavy watercolor paper in my sketchbook. This has allowed me to really throw down a lot of water quickly – an important ability when I have no more than 30 minutes to get everything finished. 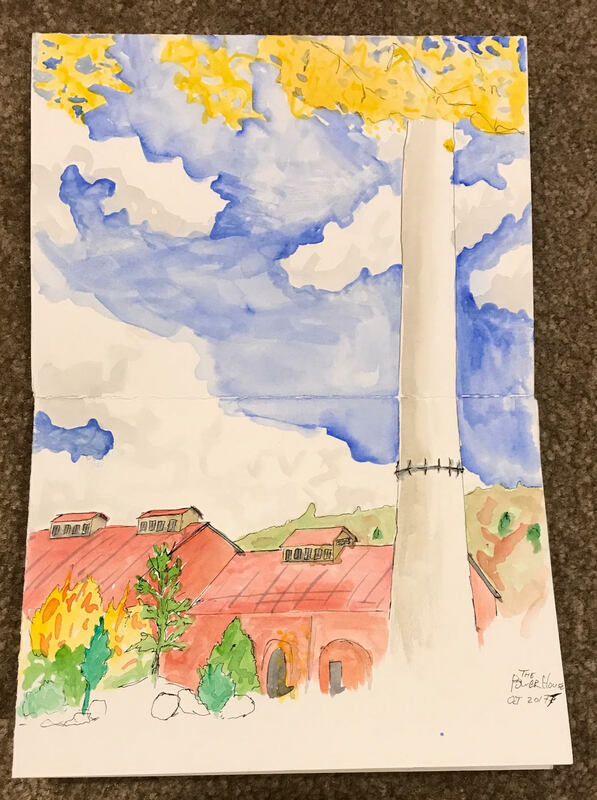 I’ve taken these opportunities to work on both my sketching abilities and to play with the watercolors, something that I’ve always been a little timid with. 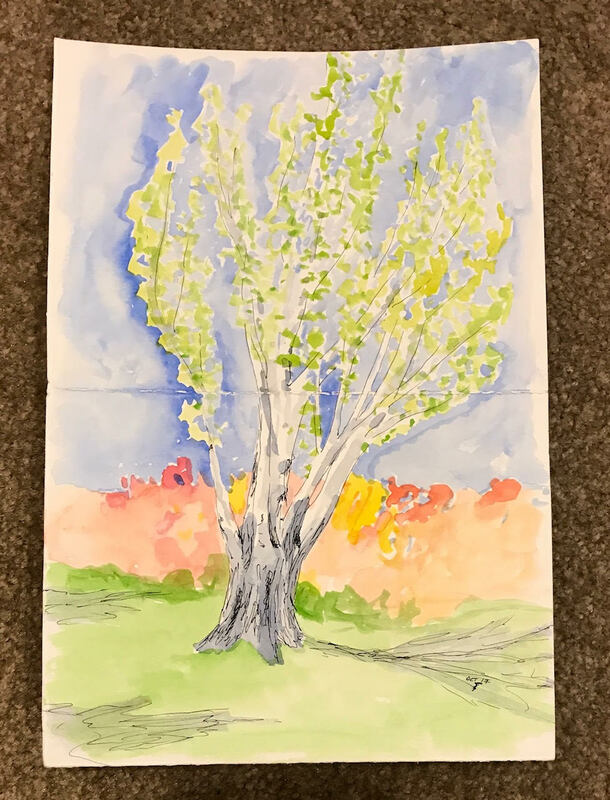 This tree caught my attention the first time I saw it, and it was an easy decision to portray it when I first started sketching. It’s a tall tree and I probably should have unfolded another “page” to capture it more accurately, but I love the colors! This old powerhouse is now a science museum. I haven’t been inside, yet, but it’s definitely on the list of places to visit! This church is just on the the other side of the block from one of my favorite coffee shops, so I see it all the time. The architecture jumped out at me and when deciding where to sketch it quickly came to mind as a great option. I sat across the street on a bench to capture it. I was aiming for a nearby section of trail but the spitting rain drove me inside. I snagged the last seat in Durango Coffee and sipped my java while drawing the bar and patrons at this downtown cafe. 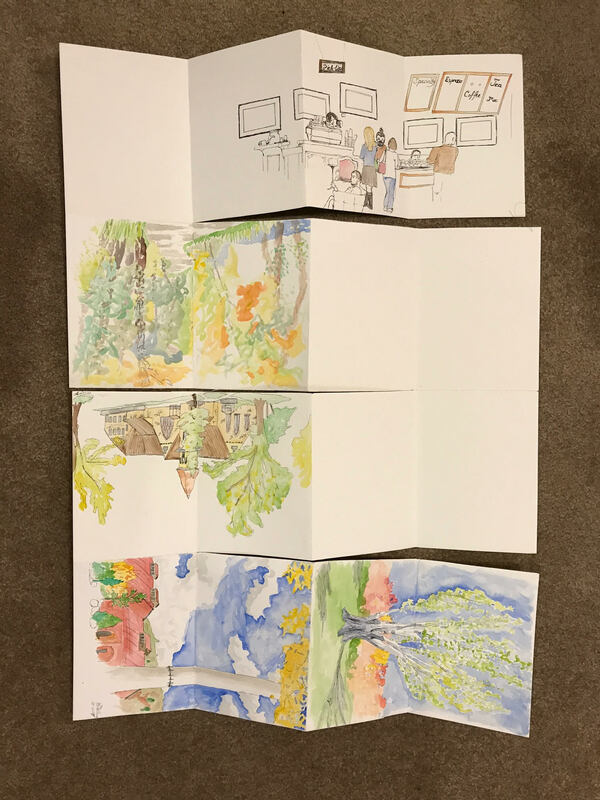 It was a lot of fun to have the extra space afforded by the additional panels, and I expect to return and fill in the other “page” on another day. Here’s the river trail that I was aiming for when I ended up at Durango Coffee above. 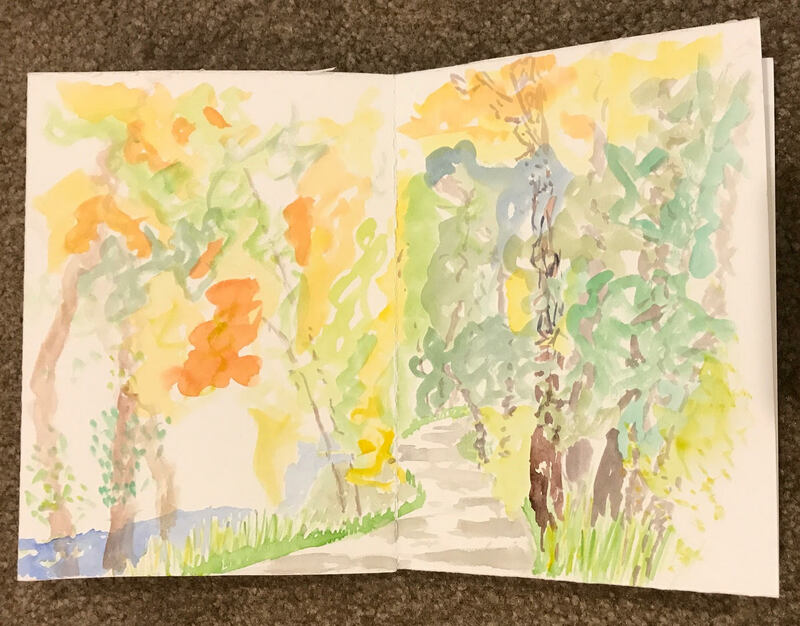 This view of the path through the trees beside the river came out much more abstract that intended, but I really like the deviation from my normal, detail-oriented approach! 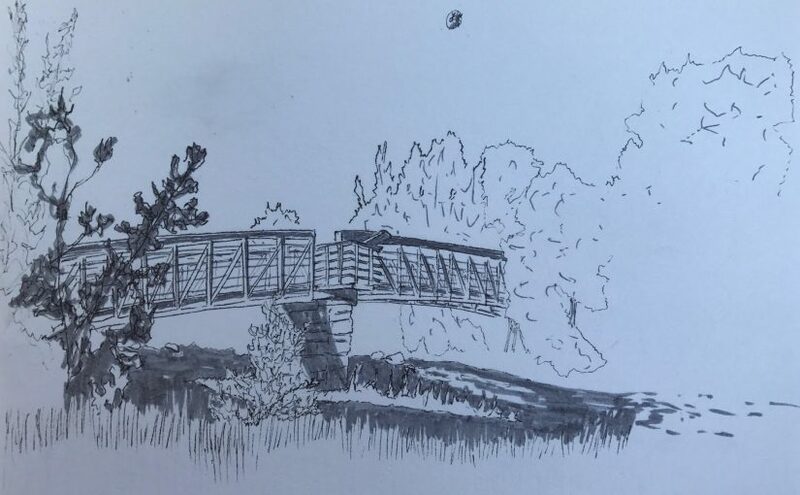 What better way to start off a day than sitting along the bank of a river and sketching? 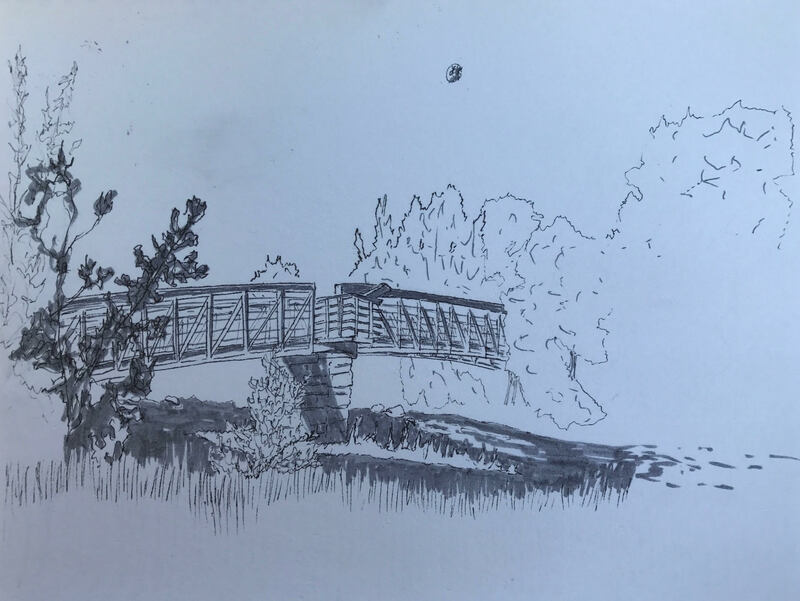 Just a short stroll away from the library, this bridge along the riverside trail crosses the Animas River. 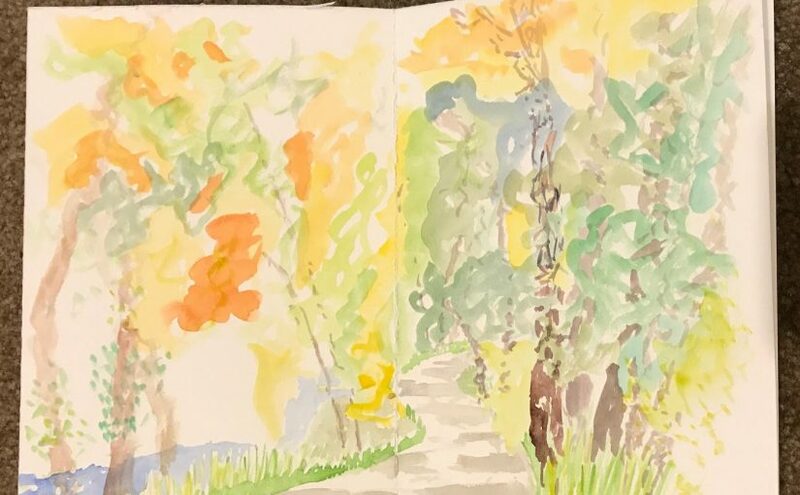 During my sketching time I saw joggers, bicyclists and even a train pass by!